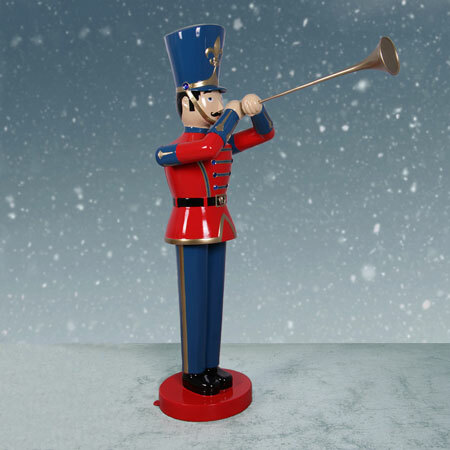 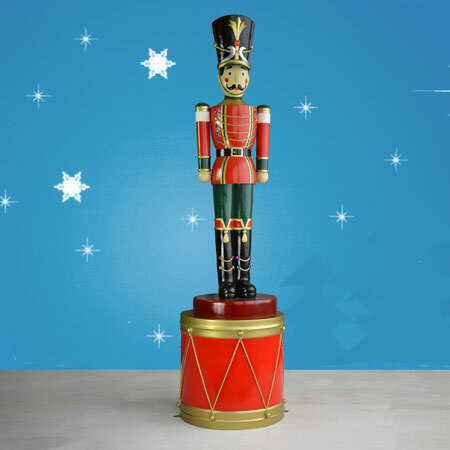 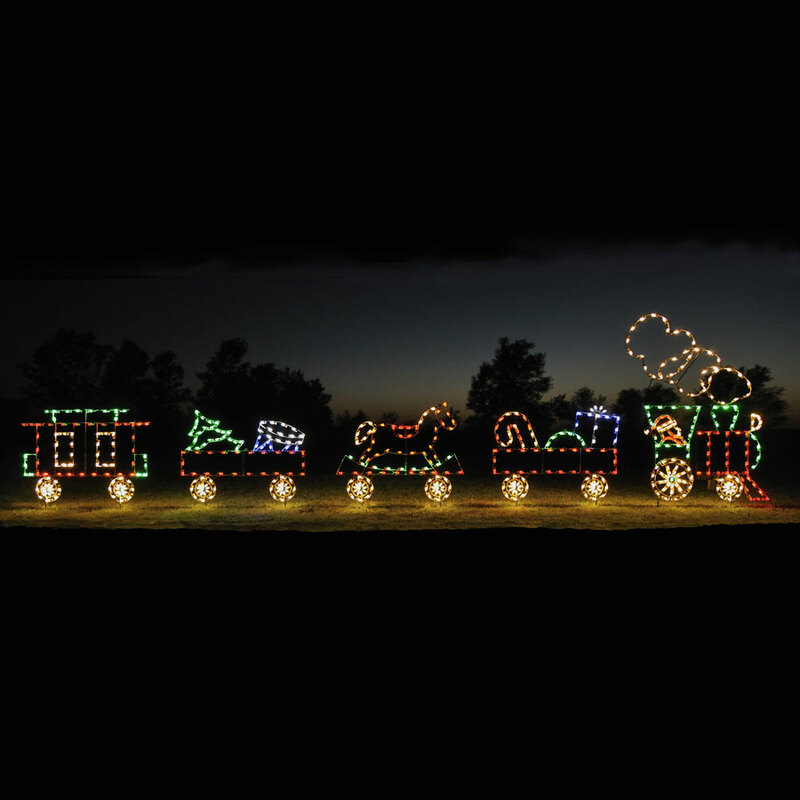 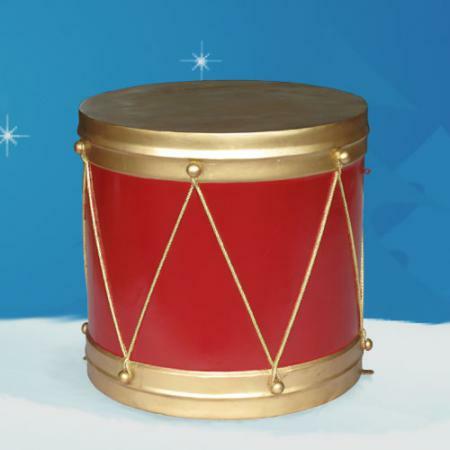 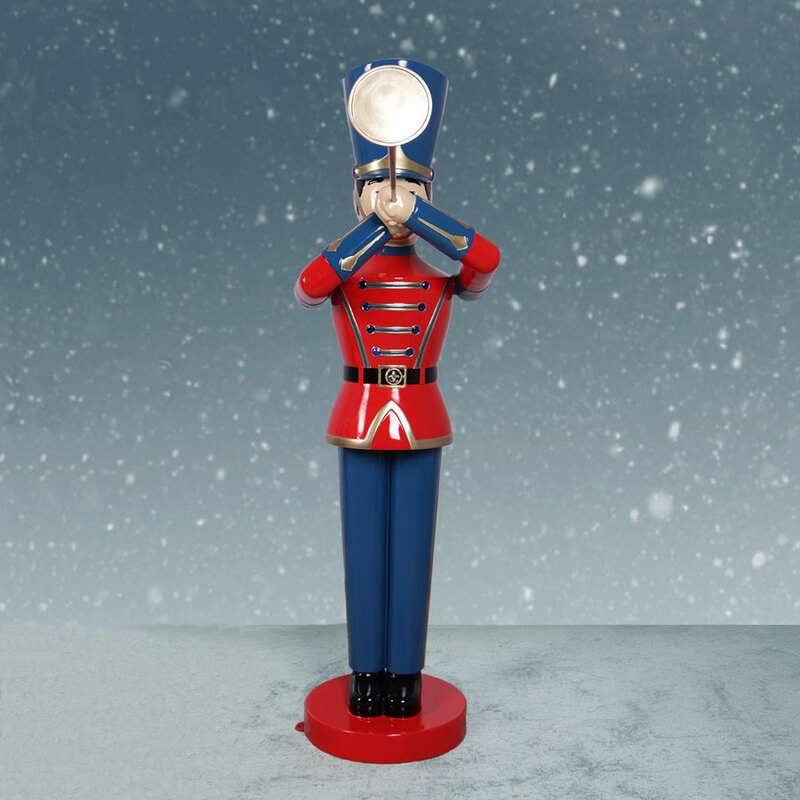 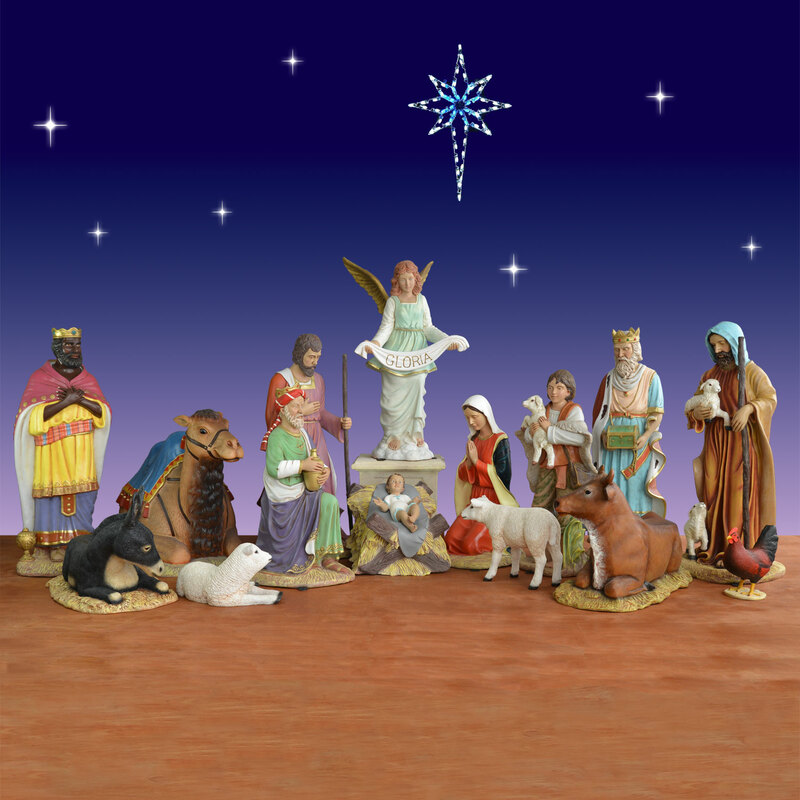 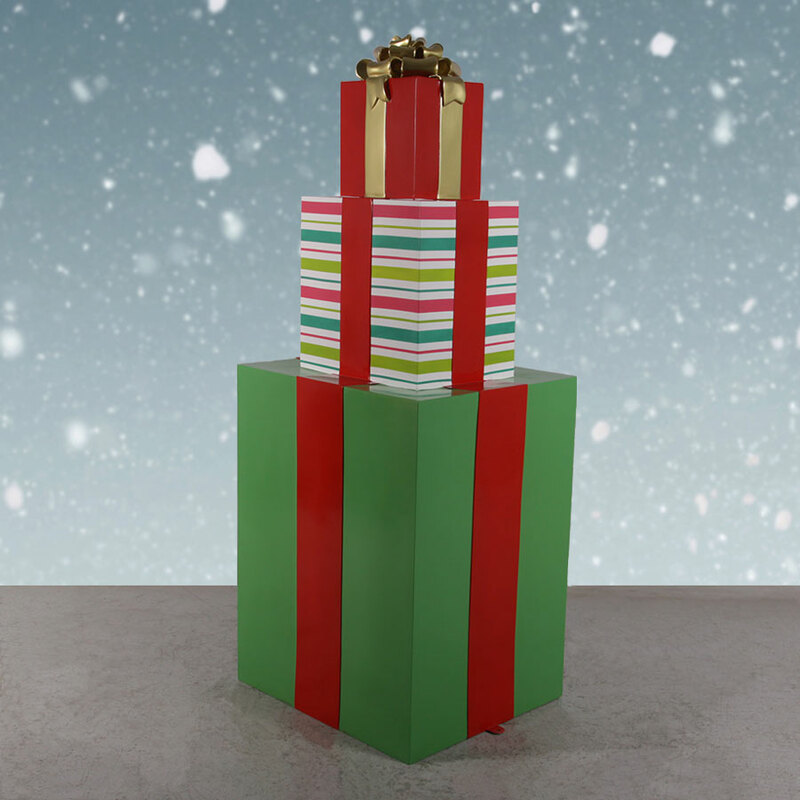 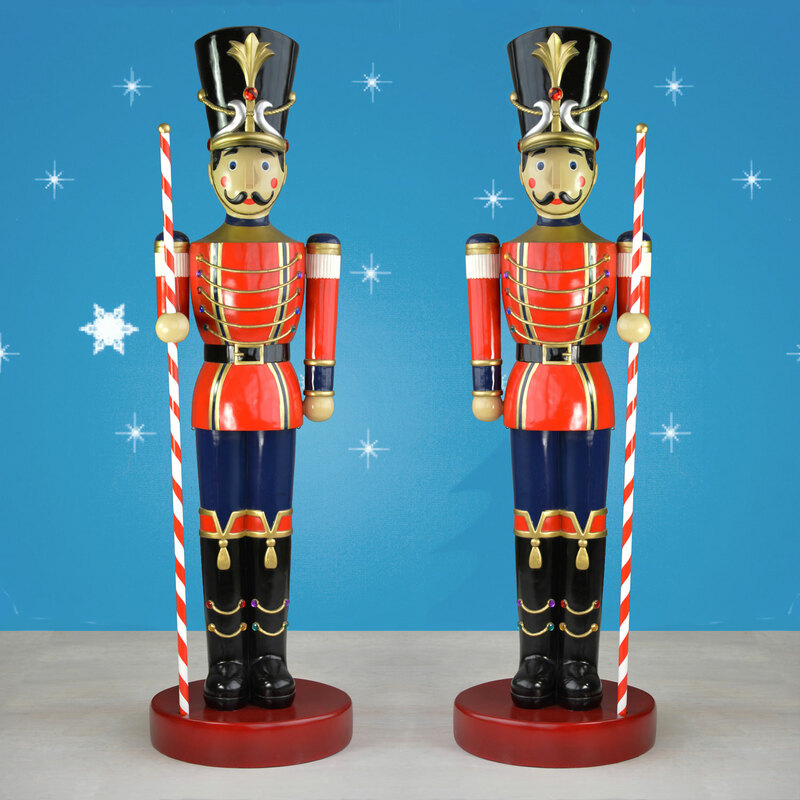 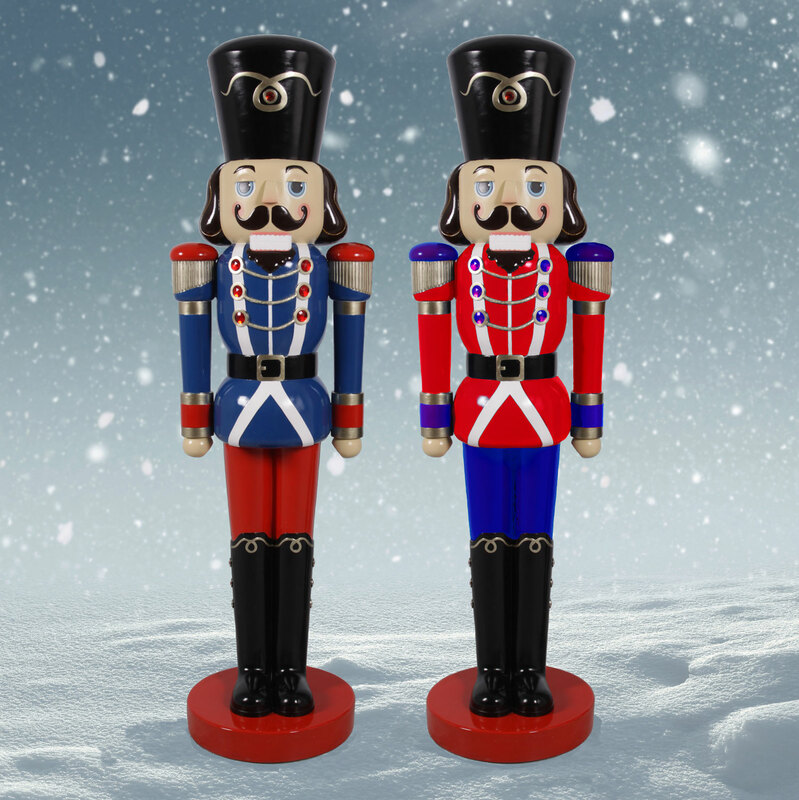 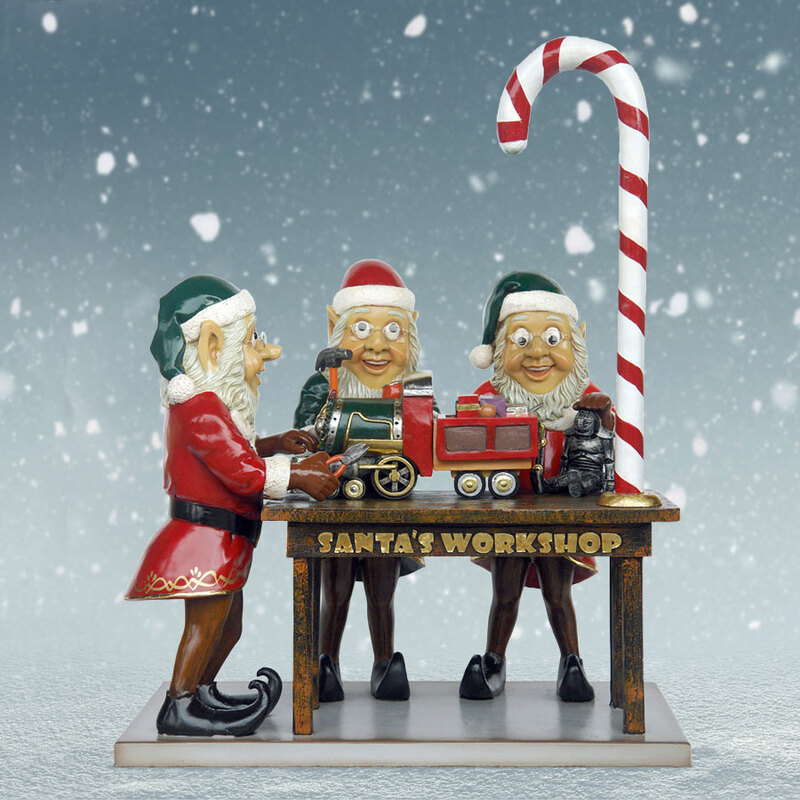 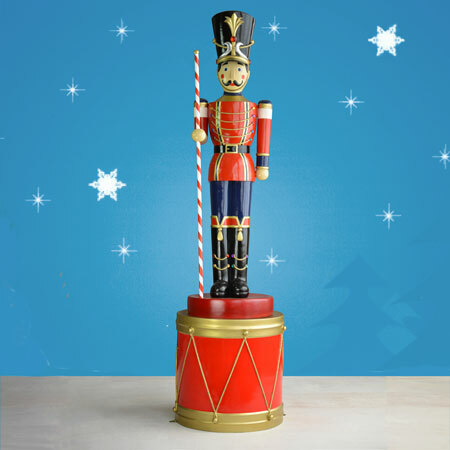 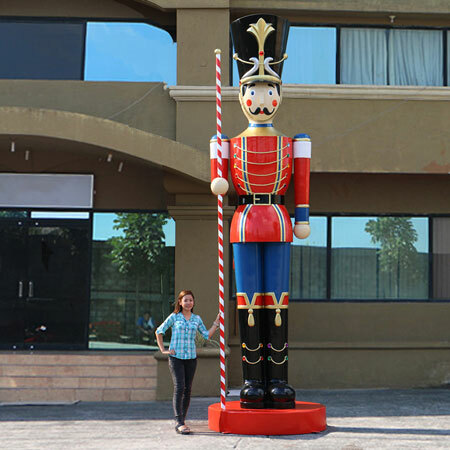 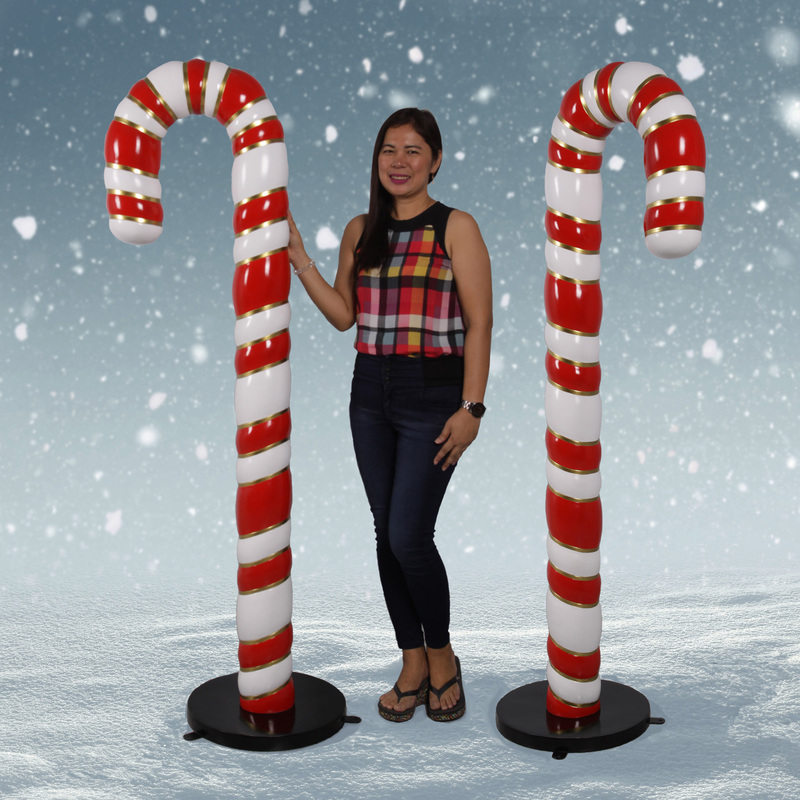 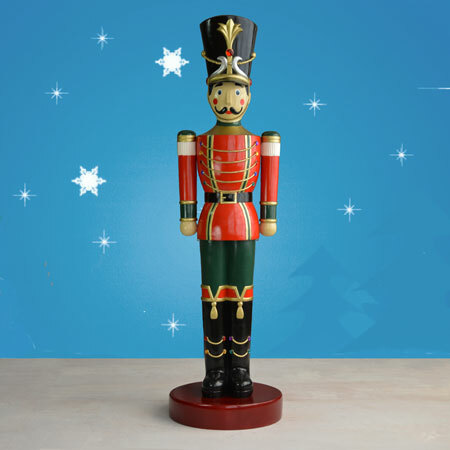 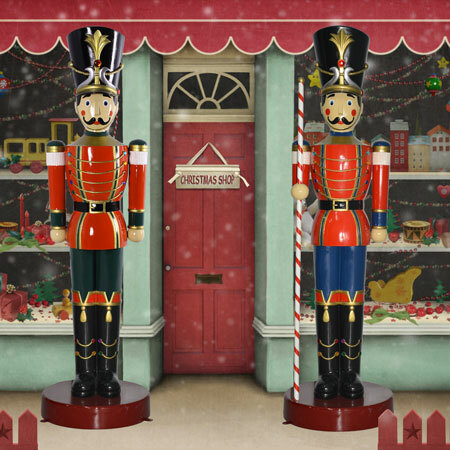 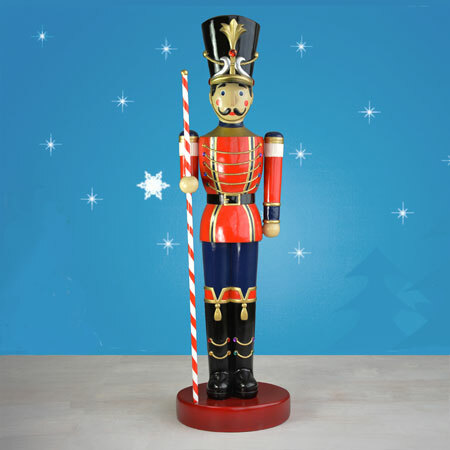 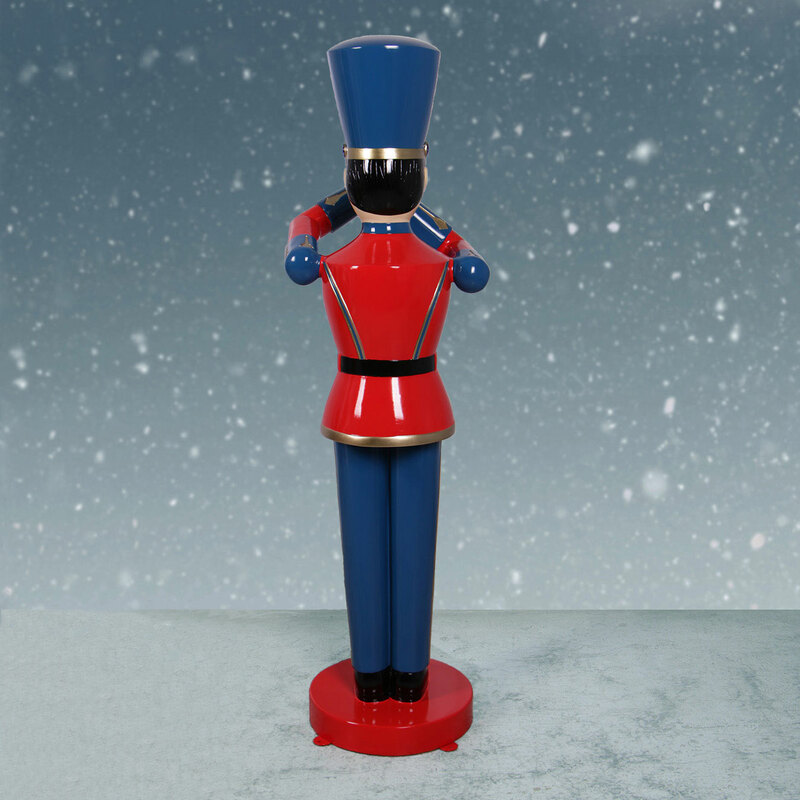 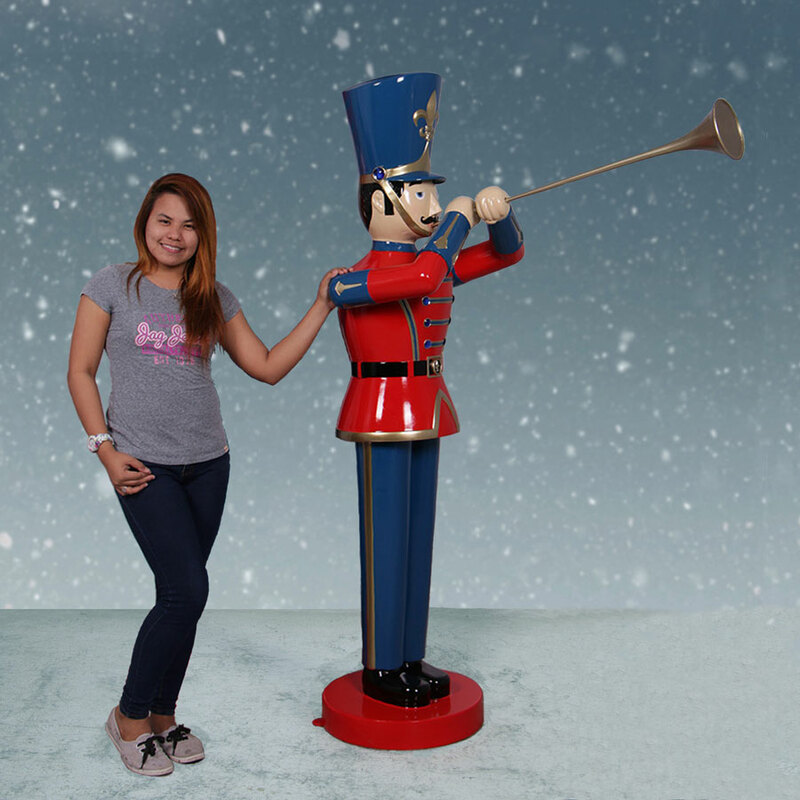 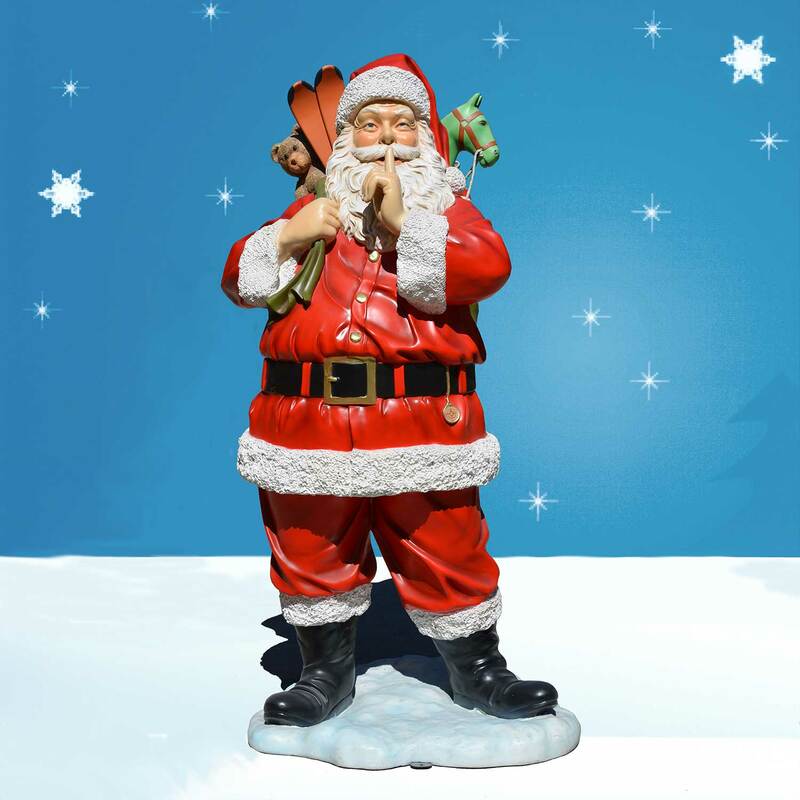 Tradition meets childlike wonder in this life-size Christmas toy soldier with trumpet pair manufactured by Heinimex. 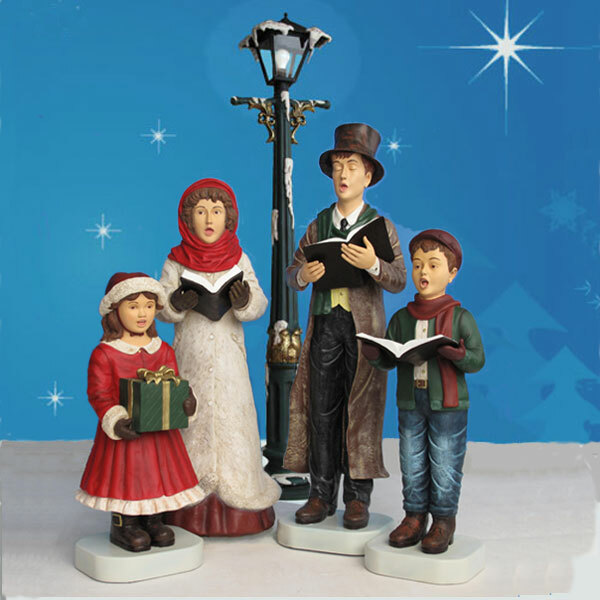 Anyone familiar with the image of bugle players flanking an entrance, walkway or procession will adore these sculptures. 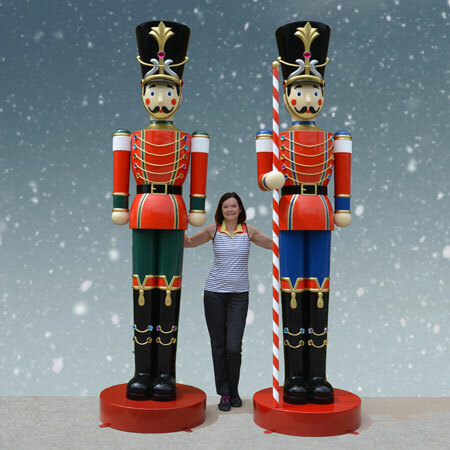 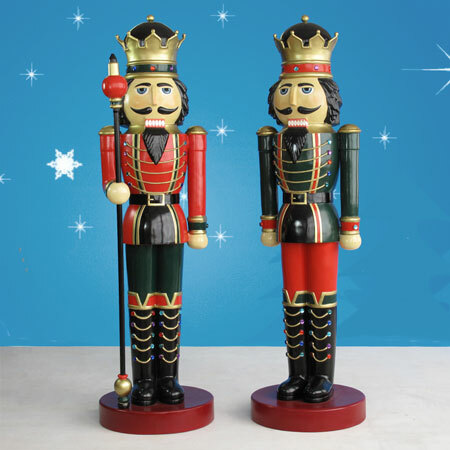 Standing 6 feet tall, they are dressed in classic toy soldier uniforms and made from chip-resistant fiberglass. Buying this toy soldier with trumpet statue in pairs helps you save big on upfront and shipping costs versus ordering individually. 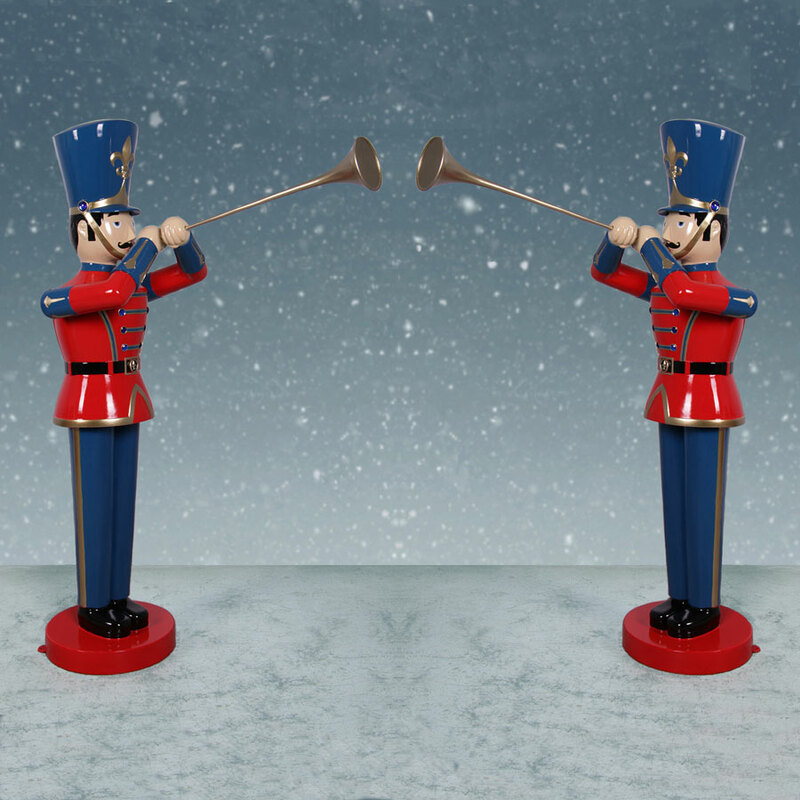 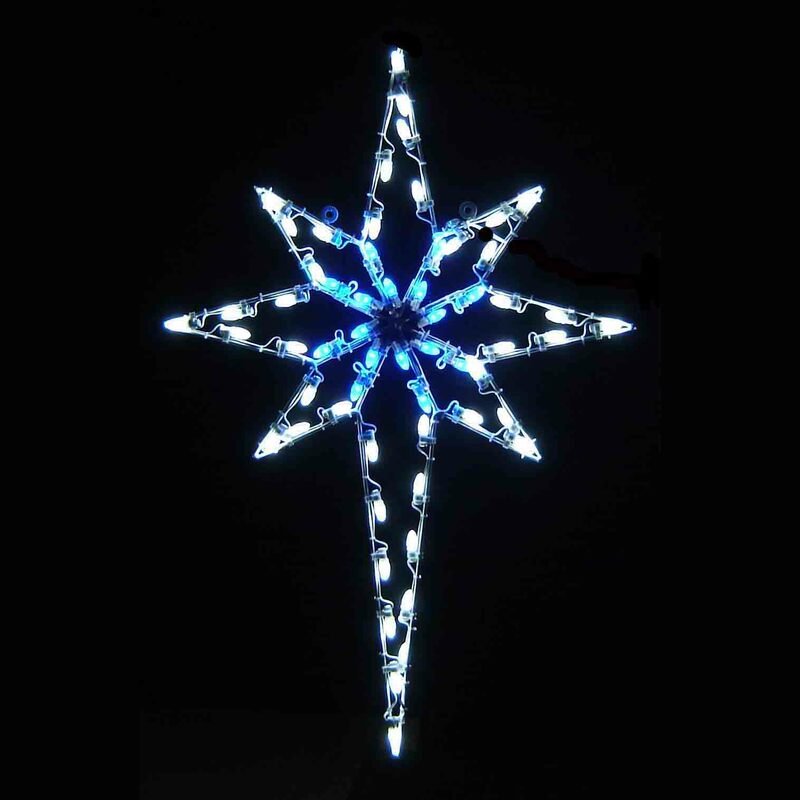 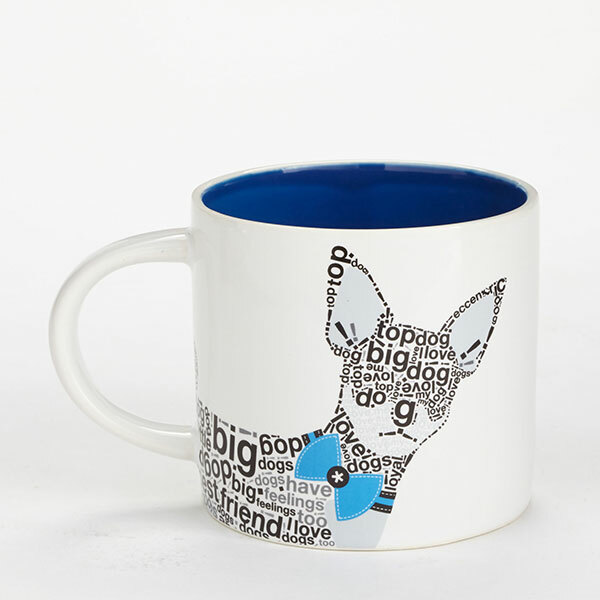 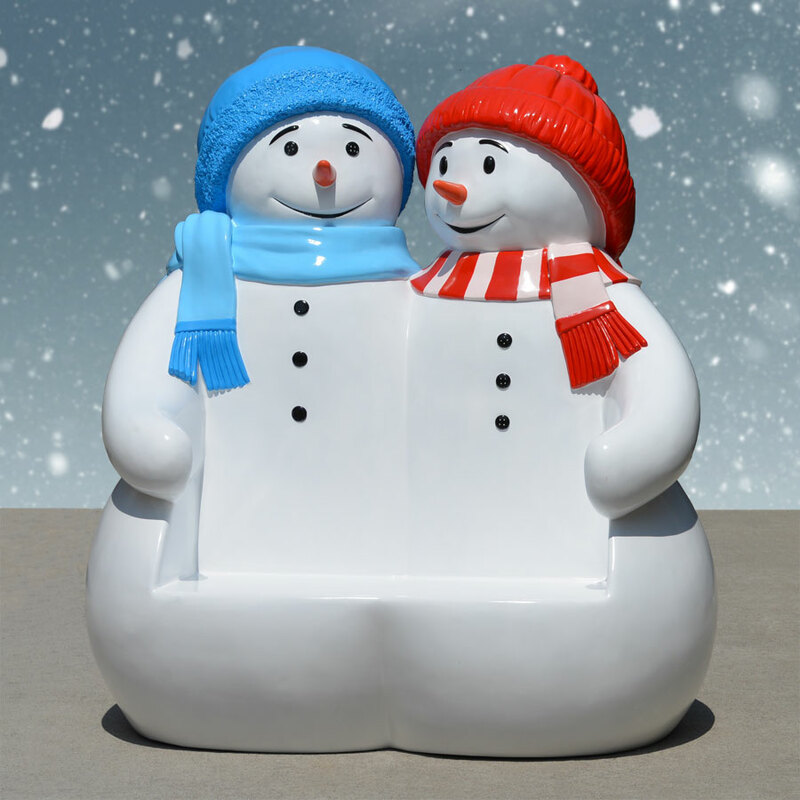 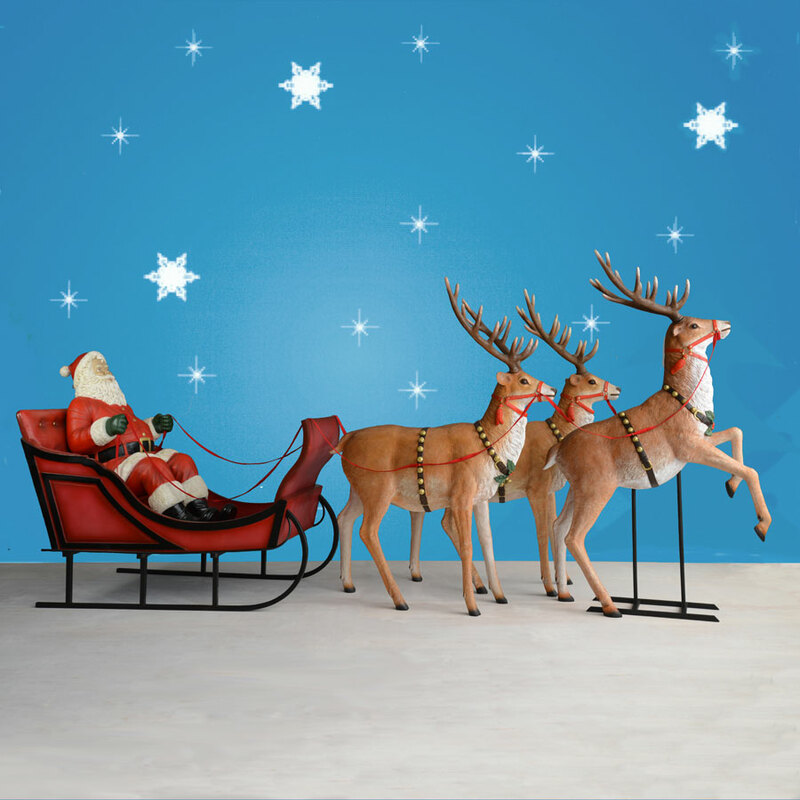 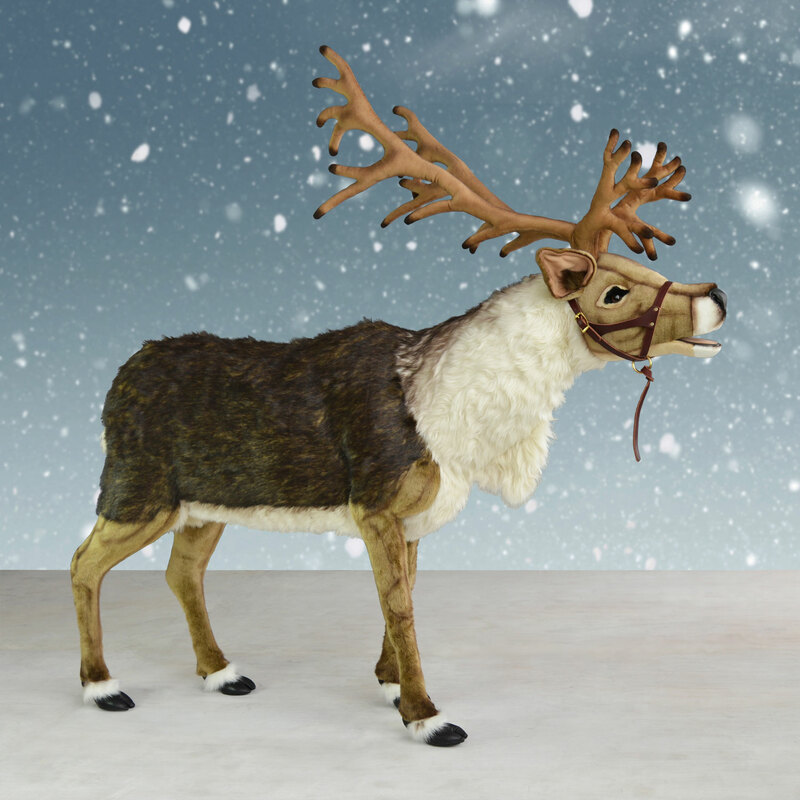 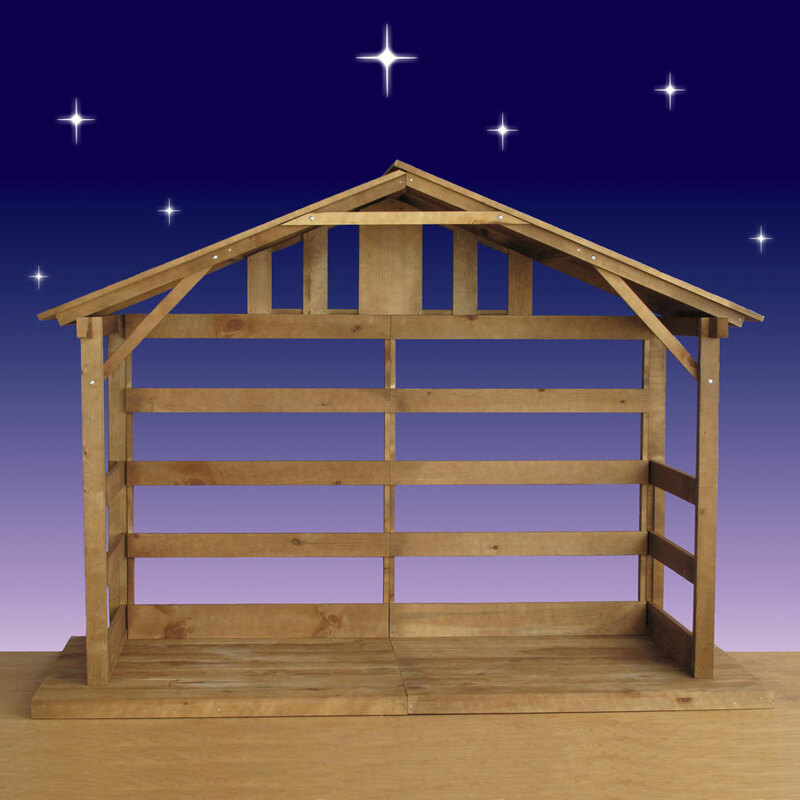 So line your front door, fireplace or benches with these two handsome trumpeters!